5.3 L (1.4 gal) water added to achieve rest at 45 C (113 F). 20 min rest. Added 6.1 L (1.6 gal) to a temp of 58 C (136 F). Pulled 1.75 L (0.5 gal) of thin mash and heated it to 85 C (185 F) and held it there. After short 5 min rest, added 9.2 L (2.4 gal) to reach 66 C (151 F) and pulled another 1.75 L (0.5 gal) thin mash and boiled it with the other thin mash pulled for 45 mins. Rest for 30 mins. Added 7.7 L (2 gal) to reach final rest at 72 C (162 F) and rested for 30 mins. 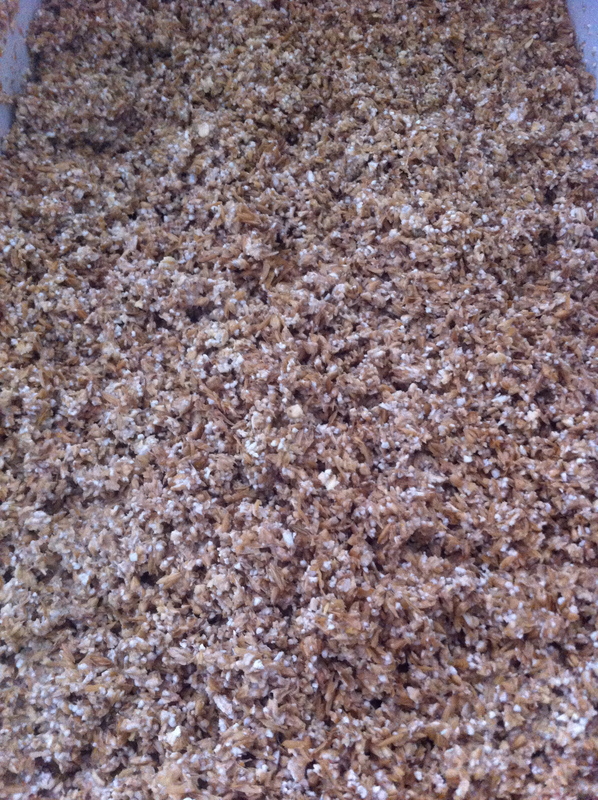 Thin mash pulled and boiled was added mack to the mash out. 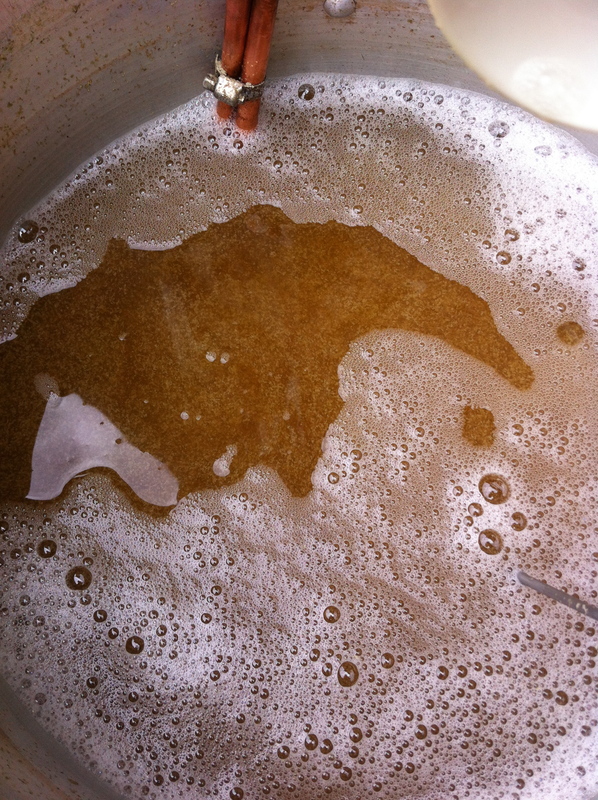 Turbid mash leaves starched un-converted in the wort. These starches then become food for the bugs.